Check out our latest SEO case studies. We pride ourselves on being transparent about not only our results but how we achieved it. Learn more about our SEO Results today! We provide a full suite of complimentary SEO services in Sydney to our valued clients. We bolt on SEO services like content writing, PPC & SEO development to achieve ethical results and best practice. Content writing is paramount to ranking success. We provide Australian based SEO content services. SEO Sydney produces high quality, rank prone content. A team of SEO consultants in Sydney can bolt onto your company for a project by project basis. Fast, ethical and tangible results are our mantra. SEO TV is a series of SEO help webisodes & marketing tutorials created by SEO Sydney to help your business’s SEO. Whether big or small business SEO TV will help you understand and enhance the online marketing of your website and its online assets. SEO TV also aims to help you with your website and online business strategy concentrating on education and innovation. We not only wish to educate but improve your general awareness of great digital marketing practice through SEO & online marketing videos. SEO VS PPC, What Are The Key Differences? At SEO Sydney we use creative and ethical SEO strategies that serve your business & google's users best interests. We use white hat search engine optimisation (SEO) strategies to help our SEO Sydney clients rank their webpages ethically, naturally and with significant result. We create more attractive and credible websites to help our Sydney clients rank and increase their exposure to the search engines. At SEO Sydney, we use white hat search engine optimisation (SEO) strategies to help our Sydney SEO & digital marketing clients rank their websites ethically and organically. Although we have helped many Sydney companies and business’s rank on the first page of the Search Engine Results Pages (SERPs), it’s important to note that our own search engine optimisation results are impressive also. We use our own SEO Sydney & SEO Melbourne results as a yardstick. We practice what we preach. We don’t just focus on getting you a first page ranking in the Search Engine Results Pages (SERPs). We also implement our Sydney SEO services to help you achieve higher conversion rates, improved UX (user experience) and UI (user interface design). We take the time to get to know you and your Sydney business. We are not a churn and burn company and as a Sydney SEO agency we are bound to a strong set of digital marketing ethics. We carefully curate an effective and creative SEO strategy that will not only harmonise with Google’s algorithmic changes, but drive leads and sales too. SEO Sydney will help develop conversion optimisation and develop a strong meta framework which in turn will improve the overall user experience of your site. If we are improving your usability then we are also improving your rankings and thus your SEO. The world of SEO is subject to the volatile nature of algorithmic changes that can influence the rank of webpages overnight. SEO Sydney’s ethical and forward thinking approach to SEO places our clients on the forefront of the algorithmic curve and on the best path to a first page ranking in the Search Engine Results Pages (SERPs). If you’re a Sydney business or company which falls within the category of being a green or socially & environmentally responsible business, then please contact us as we will have significant SEO service rate reductions available. We implement creative & ethical SEO strategies & thus gain lasting SEO results. In doing so we create better websites for our Sydney clients. As emphasised, SEO Sydney's focus is on using white hat SEO optimisation strategies that ensure that your website will rank credibly and without penalty – now and into the foreseeable future. As emphasised, our focus at SEO Sydney is on utilising white hat SEO optimisation strategies that ensure that your webpage will rank credibly and without penalty – now and into the foreseeable future. 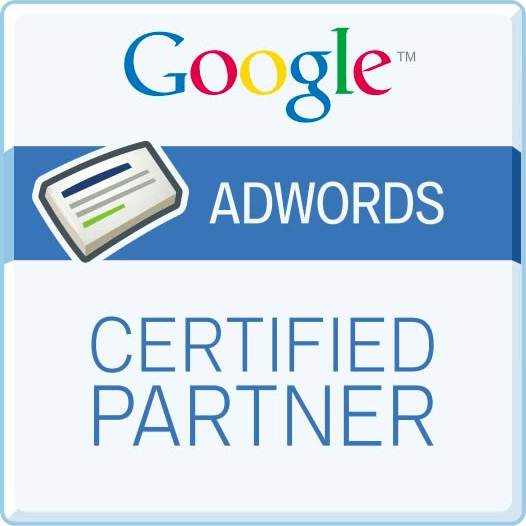 What this means is that we work within the strict SEO guidelines dictated by the search engines (ie. Google). Black and grey hat SEO practices often result in your webpage receiving a penalty or being removed from the search engine index, altogether. All of our Sydney SEO Services follow strict white hat SEO strategies that fall in line with the SEO guidelines dictated by the search engines, to ensure that you achieve your business/companies goals and serve your customers in the best way possible. We adhere to strict internal ethics when dealing with our digital marketing clients and this leaves us with lasting SEO campaigns and long business relationships. At SEO Sydney, SEO is what we do and it’s what we do really well – just take a look at our SEO results. We know how to use SEO to help businesses achieve their goals and to create a better user experience for all. When we meet our Sydney clients for the first time, talking about rankings is only part of the SEO campaign and service. In order to build or alter a webpage that will help our clients achieve their business goals, we need to understand the holistic picture of their business; and the market that they serve. Doing so allows us to create an effective SEO strategy that will serve our client’s and earn back links naturally – this is the white hat way. We have been using white hat SEO practices from day one and this is how we ranked our own website and continue to do so. Our SEO results speak for themselves. In order to serve your users and clients with a fantastic search experience, you need to build a website that is both credible and relevant for keywords that both SEO Sydney and our SEO clients agree too. In order to serve your web users and clients with a fantastic search experience, you need to build a website that is both credible and relevant to the search terms of the SEO campaign. Building a search engine optimised website that is both credible and relevant doesn’t come to fruition overnight. Unfortunately, there are no shortcuts to achieving long term SEO success. Our SEO services in Sydney focus on optimising your website so that it incorporates the appropriate user experience (UX), user interface (UI) and creative content strategy. This translates into building your websites credibility and relevancy for your web users and clients. Our white hat SEO strategies will ensure that you achieve long term SEO success for your business. Achieving long term SEO success in a highly competitive and volatile SEO Sydney business environment requires a carefully curated SEO strategy. We curate a custom made SEO strategy for each of a clients. Achieving long term SEO success in a highly competitive and volatile environment requires a carefully curated strategy. At SEO Sydney, we curate a custom made SEO strategy for each of our clients. It takes quality time to devise an SEO strategy that will ensure that your website will be on the road to long term SEO success and living the high-life on the first page of SERP real estate. Within 3 to 4 weeks, our team will have carefully analysed your business and website to curate a strategic SEO implementation document detailing optimised website elements that will add higher value to your website – and therefore influence your ranking in the SERPs. Our custom made Implementation Documents are made in house here in Australia, not outsourced overseas and form the basis for our creative SEO strategy of development, design, content and on page optimisation of all assets. At SEO Sydney, we don’t believe that standard SEO audits provide enough value to turn a stagnant website into a thriving website ranking on the first page of the SERPs. Our SEO Implementation Documents pack a lot more punch than what the standard SEO audits can provide. Our Implementation Documents have helped many Sydney businesses rank on the first page of the SERPs and we have the results to prove it. In order for us to provide you with a great SEO service, we need to have a chat to you about how our SEO services and your business/website can help you achieve your business goals. Lets Chat! In order for us to provide you with a great SEO service, we need to have a chat to you about how our SEO services can help you achieve your business goals and service your web users and clients in the best way possible. Another thing to note is that creating the right content and a user-friendly website are important elements that contribute to a successful SEO strategy. SEO Sydney could not call ourselves an SEO company if we did not offer a SEO Copy Writing and SEO Website Design as part of our services. As within an SEO campaign framework both a needed in most cases for tangible SEO results. We are dedicated to getting your webpage to rank on the first page of the SEPRs, and to earn conversions accordingly. 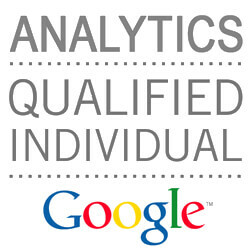 Our dedication has meant that we work the extra hours and put in the hard yards to obtain such SEO results. Our dedication has meant that we work the extra hours and put in the extra effort to get your webpage where it needs to be. Although our Implementation Documents are our core product, we also offer a range of SEO services that can get your website ranking highly and converting including; SEO Content Writing, PPC Services, SEO Website Development and SEO Consulting. Don’t miss out any longer on the business opportunities that SEO can harness for your business. Contact us today to see how we can help you achieve your business goals and serve your customers better through SEO. We worked with global company Life Fitness to boost their SEO through keyword research, content optimisation and our implementation strategy.